Hard to believe the time is upon us again - it's the traditional BelfastJS holiday season LIGHTNING ROUND (all-caps, all the time)! This session will be hosted by our special guest MC, Flexera's own Peter McAree, subbing for Claire and Neil who have been independently waylaid this month. You will be in great hands! We will be moving *fast* to try and get through all our talks at a good tempo, but there will still be opportunities for breaks, questions and discussion. It's going to be a good one! Hope to see you all there! Are you organizing BelfastJS - December 2018 LIGHTNING ROUND @ Flexera? 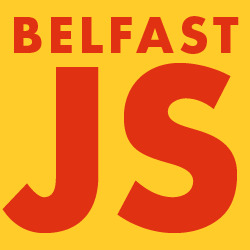 Are you an organizer of BelfastJS - December 2018 LIGHTNING ROUND @ Flexera ?